Most of us are well aware of how demanding CrossFit workouts can be on our bodies. We chose this sport because we love it and in some form or another want to improve our performance and overall well-being. 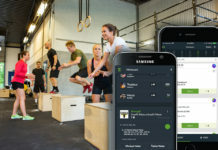 Yet, in achieving this higher sense of fitness and well-being, the truth is that as CrossFitters (and as a society in general) we under-utilize one of the most essential tools in enhancing our performance—sleep. Improved sleep equals improved performance, it’s that simple. Improved sleep comes not only from getting the right amount (most research shows we should get at least 7-9 hours every night), but from the quality of sleep we get. Proper sleep promotes muscle recovery, increases reaction times, agility, endurance and our overall mood when we train. When we enjoy a night of uninterrupted, deep sleep, our muscle fibers are able to repair themselves and become stronger, our central nervous system enjoys some much needed rest, and our bones and joints recover from carrying the heavy loads we put it through in training. One of the most important aspects of quality sleep centers on comfort—specifically, the comfort of the mattress you’re sleeping on. A poor mattress can actually cause your muscles to tighten throughout the night and disrupt the quality of your sleep. PerformaSleep has developed a mattress with your comfort in mind, specifically with the intention of enhancing sleep for people with an active lifestyle. 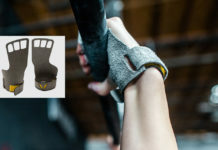 PerformaSleep was developed by mattress industry experts and CrossFitters who set out to create a mattress that provides better, cooler sleep, aids in muscle and joint recovery, and gives athletes an edge. To do that, they built a mattress that features a copper-infused top layer, which was created to promote cooling and balancing benefits. The copper is also anti-microbial and anti-viral. The PerformaSleep mattress also uses Enersorb™ technology. Traditional memory foam develops a sinkhole where you lay in the bed. In contrast, the Enersorb™ technology creates a pressure gradient across the body for rapid response to movement. With this layer, you get the bounceback and pushback necessary to contour without that quicksand feeling. A final key benefit is that the PerformaSleep mattress sleeps much cooler than other mattresses on the market, because the innovative CopperCool™ layer transfers heat away from the body throughout the night. The best part? You can buy this mattress online at an incredibly competitive price ranging from $525-$925. PerformaSleep mattresses are made in the USA, ship for free and have a 90-night risk-free trial. They’re available in Twin, Twin XL, Full, Queen, King and California king sizes. 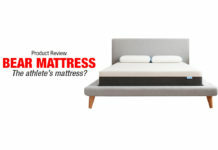 Head to performasleep.com to find a mattress for yourself.